Awarded with Blue flag, Mikri Mantinia is a magical pebbled beach that fulfills the most crazy dreams. The hot summer days, you can find redemption at this peaceful with small bays in row beach, due to the cool streams at the bottom of the sea. There are also many tavernas and restaurants offering freshy homemade food, where you can enjoy your lunch while overlooking the blue crystal water of Mikri Mantinia. Mikri Mantinia is a small sea side settlement just 10 km away from Kalamata. It is quite new area, as the old uphill village collapsed by an earthquake during 40’s. Many hostels and guest houses have been constructed at Mikri Mantinia during the last decades. At Haraugi, a 4 km away from Mikri Mantinia village, you can see the Kapetanakis Tower Family. This impressive stoned building developed on 1795 for ‘Mani’ Kapetanakis family is a representative sample of the distinctive society and traditional architecture. 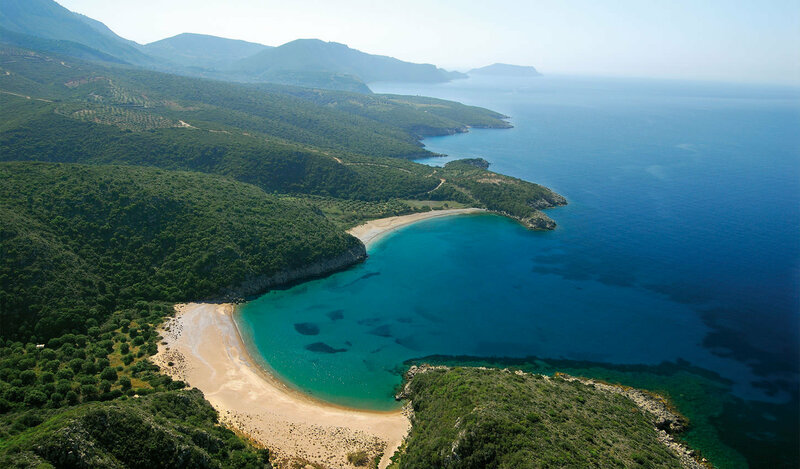 When visiting Kalamata, one should never miss a trip to Finikounda. The pristine beaches around the fishing village of Finikounda offer a laid back and stress free atmosphere making it one of the ideal vacation destinations for families and beach lovers alike. The different beaches around Finikounda are easily accessible by foot. Paradise beach, which is located on the east side of Finikounda is just a few minutes walk from the heart of the town. The Anemomilos beach on the west side offers a broad stretch of golden sand and is also accessible on foot. The beaches around Finikounda offer splendid conditions for swimming snorkeling and fishing. This place also provides an ideal environment for wind surfing and sailing during the summer. Night entertainment thrives in Finikounda. There are plenty of taverns close to the waterfront that offer superb food choices to people who want to enjoy an intimate, romantic dinner. There are also some lively taverns for visitors who love to party. Located is the southeast portion of Kalamata, Stoupa is a haven for families and beach lovers who want to relax and unwind. This place has self-catering studios and apartments that are perfect for large groups. It also has a number of hotels which offer bed and breakfast. 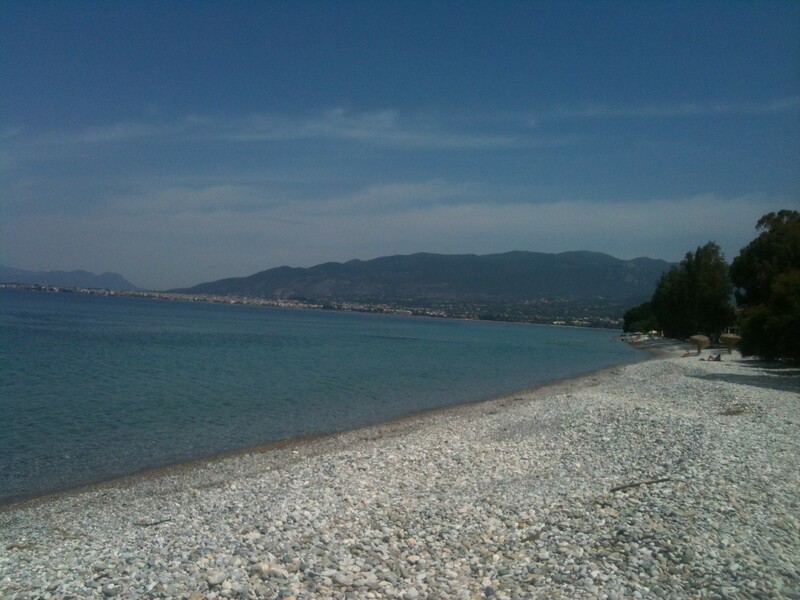 Like most places in Kalamata, Stoupa has many lovely beaches. Sandy Stoupa has the longest stretch of golden sand. It also hosts most holiday facilities and taverns in the area. On the other hand, the Halikoura beach is smaller and rockier compared to Sandy Stoupa but it offers scenic views that are simply breathtaking. As for the tree shaded Kalogria beach, this place is great for families with small children. With its gently shelving fine sand, Kaligoria beach is fringed with tamarisk trees, trendy bars and taverns. When it comes to beautiful and scenic beaches, very few places can ever compete with Kardamili. 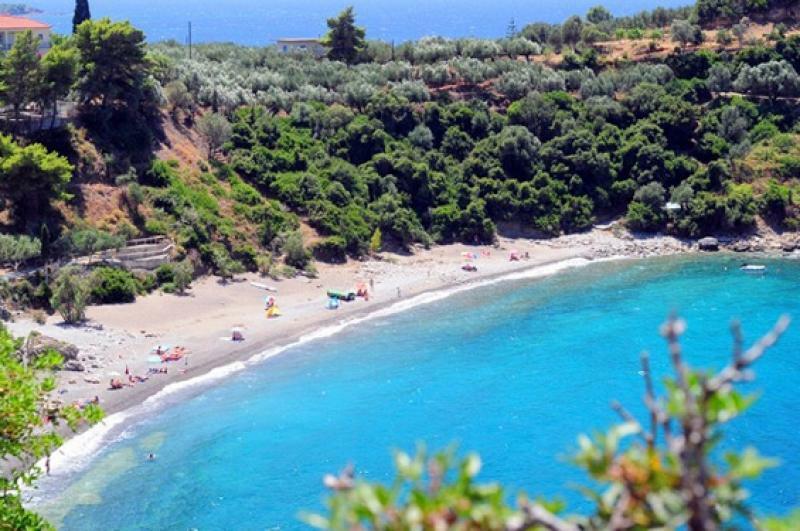 This idyllic place located to the south of Kalamata offers some of the best beaches in Greece. The Kalamitsi Beach located about half a kilometer from the heart of Kardamili is the perfect place to watch the sunset while the Ritsa, Salios, Neo Proastio and Chalikia beaches are picturesque and offer nice options for natural light photography. 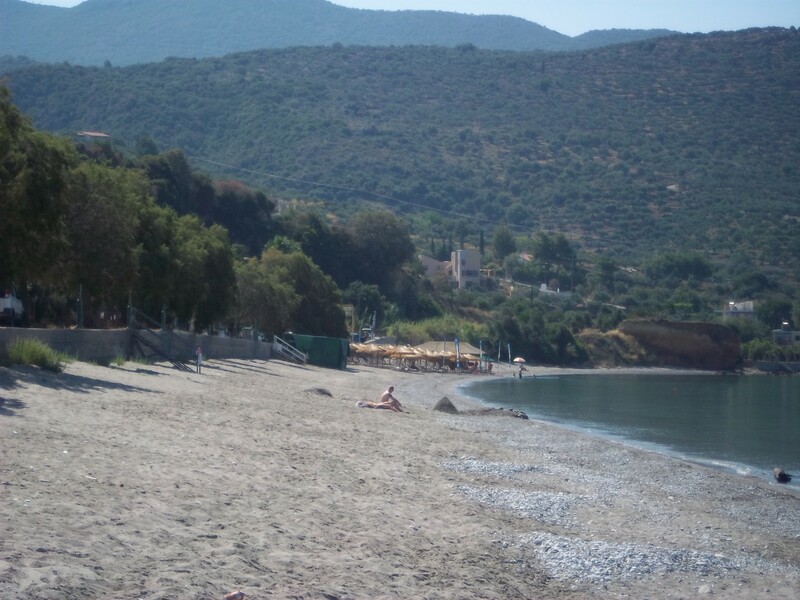 Kalamata has a nice bunch of beaches that offer varied forms of recreation to its visitors. For beach lovers, this is a complete holiday destination. The beach of Santova is located in Avia, 12 km away from the city of Kalamata to the east. It is one of the most cosmopolitan beaches of the area, it has several beach bars, which organize almost daily summer parties with famous Djs from Greece and abroad. The night beach parties of Santova are also famous for the small fires in the sand and drinking on the beach. The beach of Santova has fine sand with small pebbles on the sea. It is the only beach in the area that is sandy but its width is not too large. Above the beach of Santova there is parking area, but it is small compared tp the large number of swimmers who choose this beach. The beach of Santova is ideal for young people and for those who prefer “noisy” situations, crowds and fun until late in the evening next to the sea. 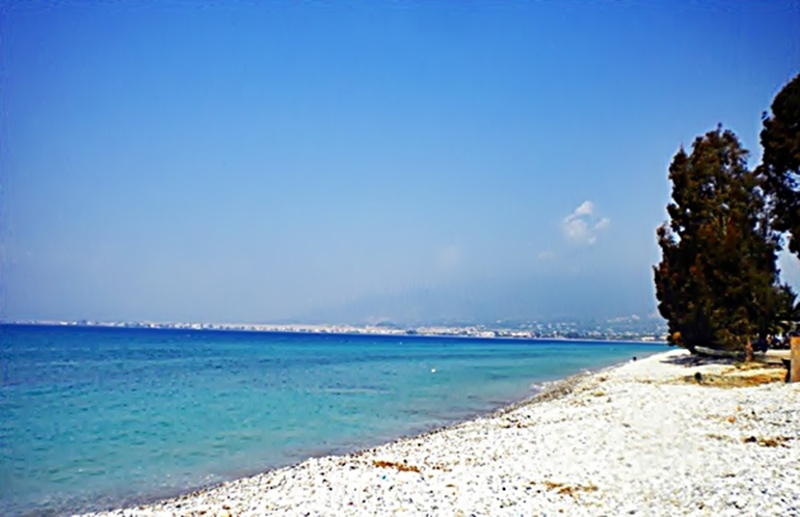 The beach of Almyros is one of the most popular and crowded beaches of Kalamata. 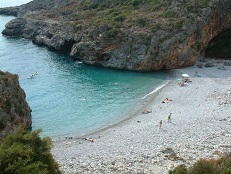 It is located 6 km to the east of Kalamata, just before the turn leading to Mani. 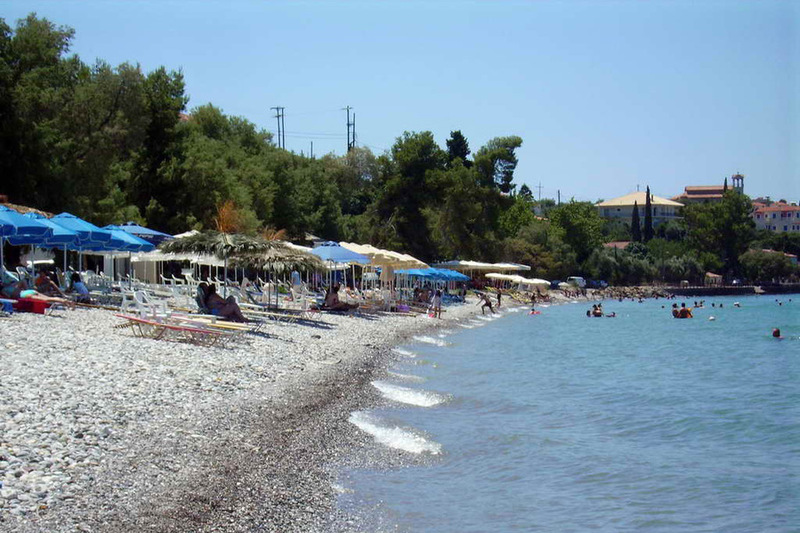 The beach of Almyros has white pebbles, sun beds and umbrellas and of course plenty of cafes and beach bars. It is ideal for water sports such as water skiing and wind surfing. It has also a beach volley court for lovers of the sport. The beach of Verga is just five kilometers away from the city of Kalamata and is actually an extension of the beach of Kalamata, in front of the settlement of Ano Verga. It is pebbled with quiet and warm waters. It has several beach bars and is very popular especially among young people. On the beach of Verga there are also all the clubs of Kalamata opening after 12 pm until the early morning hours. The beach of Verga has the entire infrastructure, umbrellas, cafes, restaurants and everything you need, you can find it there. Along with the adjacent beach of Almyros it is one of the major tourist resorts of Kalamata that every summer both locals and tourists, Greek and foreigners, visit it. During the last years many tourist facilities, hotels and resorts have been built on the beach of Verga. By the beach of Verga you also have to visit the village of Ano Verga, at an altitude of 1,000 meters. It is 15 minutes away and the great view over the Messinian Bay will impress you.